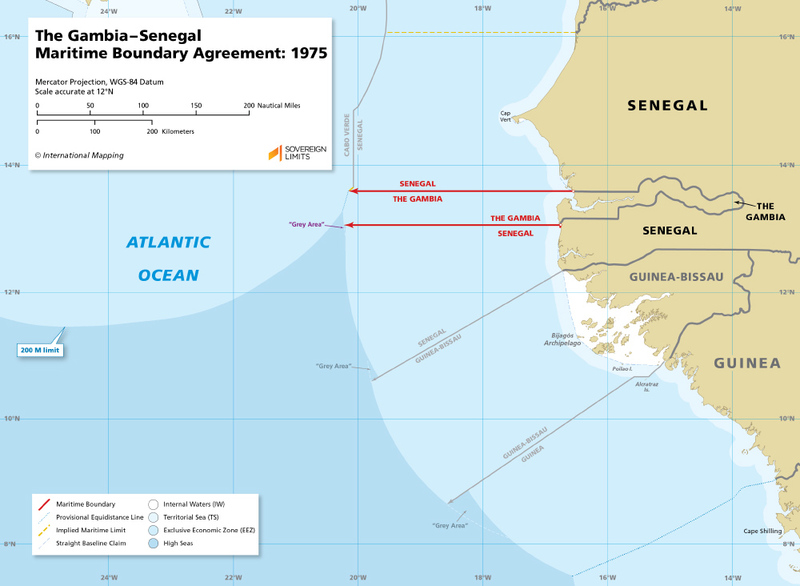 The Gambia is a northwest African state that is semi-enclaved by Senegal. Their maritime frontier, agreed to on 4 June 1975, is split into two parts, extending from a northern and southern land boundary terminus into the Atlantic Ocean. Both boundaries follow parallels of latitude for almost their entire lengths. Only the southern boundary deviates from following this in an area near shore.